I missed card making today! I did accomplish several other projects, which is great... but cooking, grocery shopping, and laundry are just not as 'fun' as playing in my craft room! I made these tags to go with my gift card holder boxes. They're fairly easy (the tags, not the boxes!) 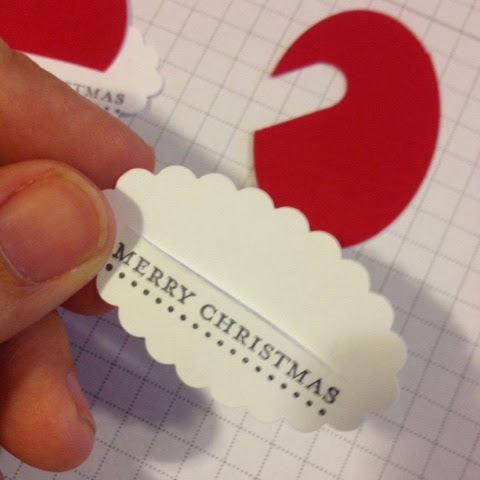 and quick to pull together, perfect for you busy crafters out there! the Large Oval, Scallop Oval, the 1/2" Circle and the Word Window Punches. You'll need White card stock, Red card stock, and a ribbon or bakers twine. 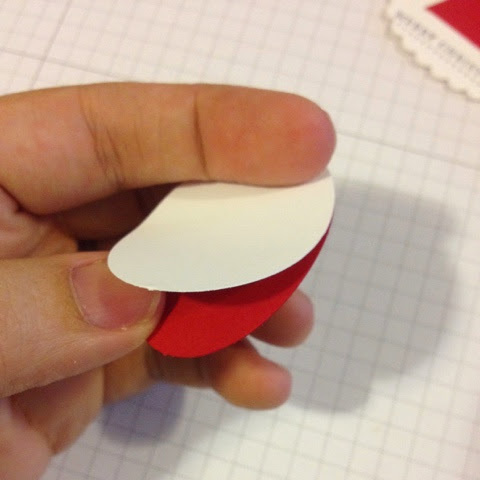 Punch your shapes: Punch out one Real Red Large Oval and one Whisper White Large Oval. Punch out one Whisper White Scallop Oval and one 1/2" Circle. 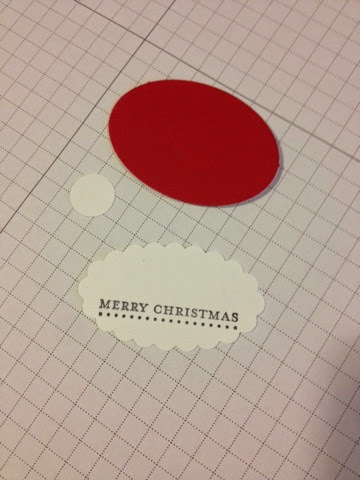 Stamp your greeting onto the scallop oval. 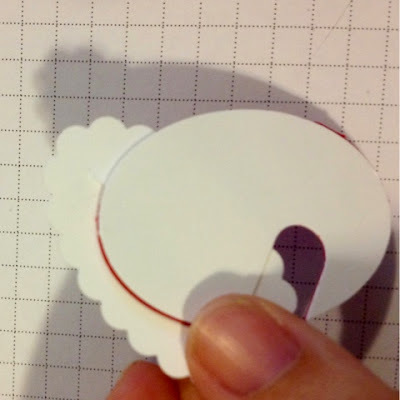 (optional) The hat part will cover the top portion of the scallop, so your greeting has to fit in the bottom half of the oval. Take your Word Window Punch and position it as in the photo, angled upwards towards the top center - make sure this is the end of the oval that is glued together!! Punch the glued end!! The bottom will need to remain open in the next steps. Cut a slit in the bottom center of the scallop oval, about 1.25" long. Slide the larger oval into the opening, with the red side passing through the hole, the white side overlapping the back of the opening. 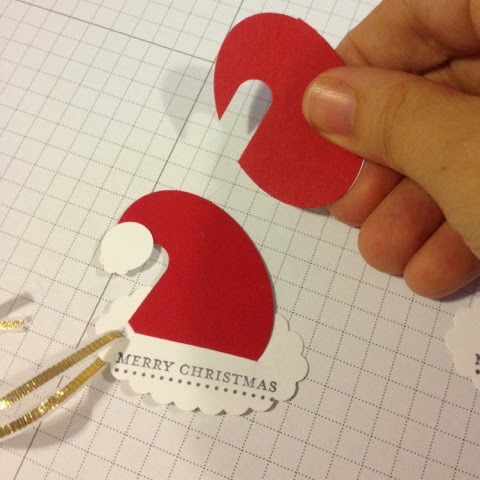 Glue the ovals together on the back side. This serves two purposes - it adds some reinforcement to the tag; and it will provide a nice spot to write your To / From info! Add the white circle to the tip of the "hat", trim excess from the point if needed. 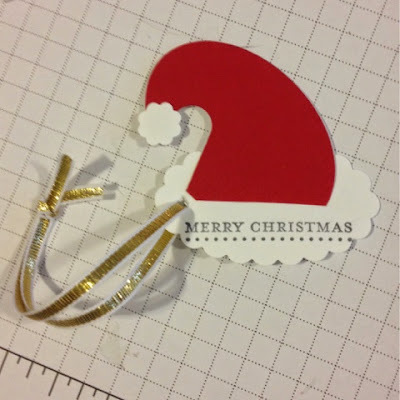 Attach your ribbon or string, and add a To/From stamp to the back (optional). These little sweeties would make cute bookmarks, or actual 'hats' to add to other punch art, and even ornaments for those little mini-trees! Maybe a cute garland.... OK! :-) You get the picture! 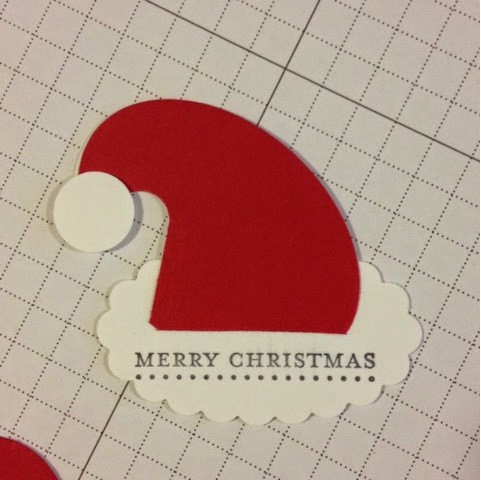 I hope you got a few of those great Door Buster deals - if not, RUN don't walk to www.MidnightCrafter.StampinUp.net, and add some goodies to your cart before those deals disappear at Midnight (Mountain Time)!